This is a really cool album. 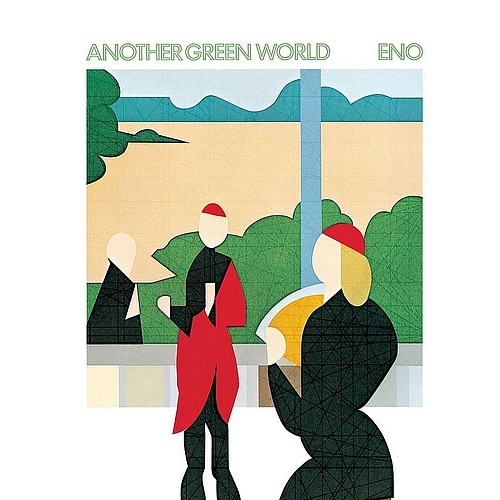 I mean, I know who Brian Eno is — he’s that guy who did all those albums that Music People like. But, apart from a cursory listen to Here Come the Warm Jets a few years ago, I don’t really have any experience with his music firsthand, unless you count my ongoing love affair with ‘Once in a Lifetime‘. That reputation always kind of preceded him, and I always figured he’d just be too arty for me, or something. But, digging into this album, what I immediately noticed was what you meant by the album’s agelessness. I listened to the 2004 remaster, which probably helps, but you’re right — you could’ve told me that this came out last year and I would’ve believed you. Eno was unbelievably ahead of the curve, especially given what you’ve told me about his working methods. In his attempts to be more a sort of curator of sound than a musician himself, he set the mold for the careers of any number of modern producers who, in your phraseology, play people rather than instruments. Your new friend Dan the Automator springs to mind as a particularly apt example of this approach to music production. I’m also reminded of the Kate Bush album you had me listen to, in that I’m seeing all kinds of groundwork for modern music I’m already really into. Acts like Amon Tobin, Four Tet, Sigur Rós, and even arguably guys like Flying Lotus or J Dilla — they’ve built entire careers on the foundation provided by tracks like ‘Sky Saw’ and ‘In Dark Trees’. Most of these guys work primarily with samples rather than live musicians, but I think that means the Eno paradigm actually applies even more. My only complaint about this album is that a lot of the songs seem … unfinished. A lot of tracks — usually the shorter ones, but not exclusively — feel more like demos than like polished final versions. Maybe it’s because I’m used to modern guys like the Chemical Brothers who will take a good musical idea and run it into the ground for twelve minutes at a time, but a good two thirds of the songs on this album feel like they end too soon. I feel like I’m just starting to sink my teeth into them, and then they stop. That’s actually probably the giveaway for dating this album: had it come out last year, it would probably be at least an hour long. Anyway, congratulations. I think you’ve found your first album to hook me the same way Deltron 3030 and Wrong hooked you. Now! To sit back and wait for it to spring to mind unbidden. This entry was posted in Responses and tagged 70s, electronic, pop by Matt. Bookmark the permalink. Hi! I like shorts! They're comfy and easy to wear!